Fells Point is an historic waterfront community located one mile from the Inner Harbor. If you're from out of town, Fells Point will likely be the place your friends from Baltimore will bring you to show off their city. Established in 1763, Fells Point is a city, state and National Historic District and boasts over 161 buildings on the National Register. Fell's Point has a maritime past and the air of a seafaring town. It also has the greatest concentration of drinking establishments and restaurants in the city. The neighborhood includes an abundance of shops, boutiques and art galleries along the cobblestone streets for visitors and residents to enjoy. All of this, plus a popular farmers market on Saturday mornings and live music on any given night at several venues, makes Fells the most popular place to visit in all of Baltimore. 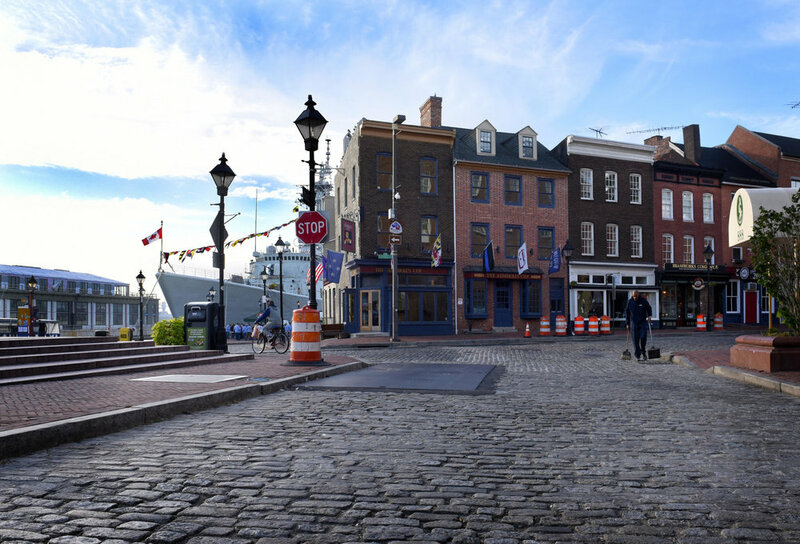 Named for the Englishmen who founded a ship-building company here in 1726 that would go on to produce the famous "Baltimore Schooners," Fell's Point is a spirited waterfront community in perpetual celebration of Baltimore's British nautical roots. The neighborhood's visage has remained largely unchanged since its founding and attracts many visitors. Chesapeake Bay cuisine is at its best here too, whether you crave oysters on the half shell at a local pub, or fresh seafood at an upscale restaurant. For residents, this neighborhood is upbeat, scenic, and full of history, culture and surprises. Fell's is home to one of Baltimore's hottest new hotels, The Sagamore Pendry, and an abundance of coffee shops that are perfect for getting work done after school or on weekends. The neighborhood is home to dozens of unique retail shops, restaurants and pubs. With the Jones Falls Expressway just minutes away and good connections to the northbound and southbound portions of Route 95 and the Beltway, Fell’s Point is in a very convenient location. Whether it's festivals, farmer's markets, craft beer, yoga studios or runs along the water, Fells offers it all. Not to mention a a quaint colonial charm that is second to none in the Baltimore.